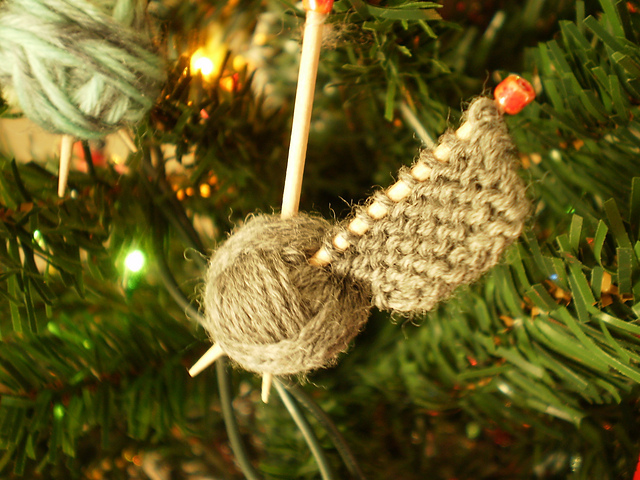 I’m excited- it’s that time of year again! The weather has (begun) to cool down- we even got a couple rain showers a few days back. I’m sure the pumpkin spice everything is right around the corner (I’m not even mad- cinnamon is delicious). And, in Seattle, it’s Back to School Time! Actually, the kids were back in school last week. My job always starts a week or two into the semester, which means that I go back to school this week! I love teaching summer camps, but I think I like the school year better. I get to spend more time with each class, which means I get to know my kids better, and get to see them develop fully as sewers. And, the hours aren’t as crazy- I love hanging out with my students, but an 8 or 9 hour day without a substantial break is not ideal. So while everyone else is worried about pencils and notebooks, this time of year means three things to me. 1. I get to start schlepping my sewing machines around again. This is the only part of my job that’s less than delightful- There’s nothing more tiring at the end of a long shift than having to load up 10 big old sewing machines onto a cart, drag them out to the car and unload them into the trunk, knowing that I’ll have to get them out again tomorrow. 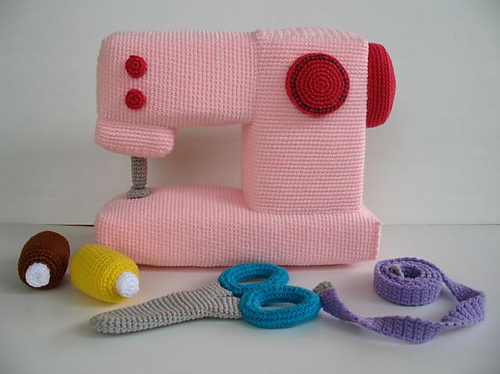 I wish I could carry little amigurumi sewing machines like this one. They would be so much easier to manage, though I suppose they wouldn’t work quite as well as the Pfaffs. 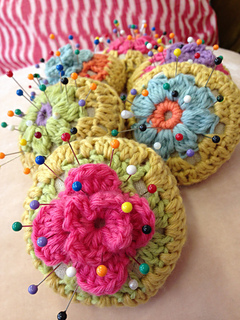 Pincushions by Nicki Trench 3. 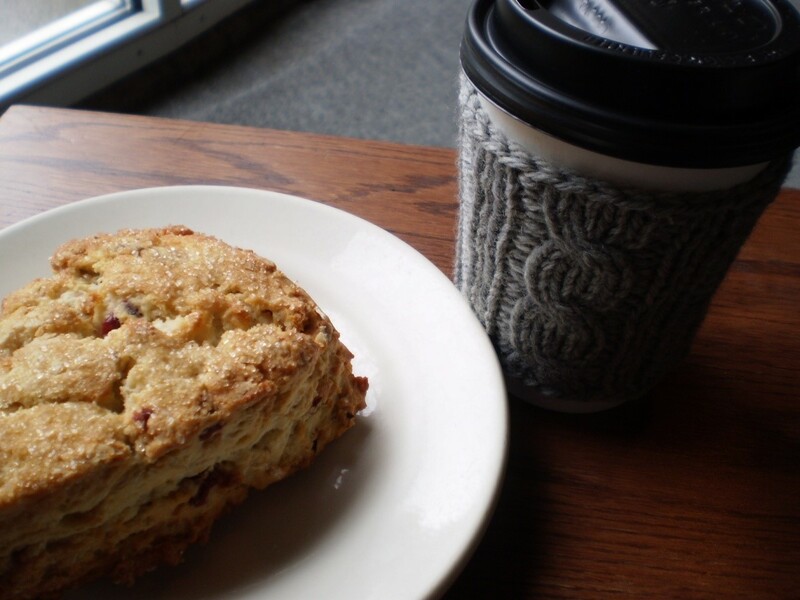 And, with the weather turning gray-er and more damp, and with the fact that it’s getting darker earlier and earlier, it’s the time of year to start drinking more coffee. (Ha! As if I ever really stopped.) I love bringing a coffee or cup of tea with me to work- I’m basically talking nonstop for three hours, which is (if I’m being honest) too much talking, so it’s nice to have something to sip on in the three seconds of quiet I get during a class. Plus, a little caffeine before hanging out with a dozen 7-year-olds never hurt anyone. 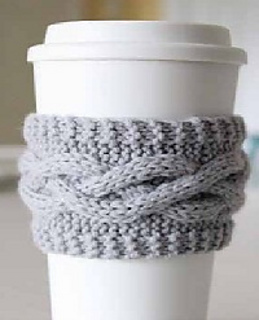 Coffee Cozies: Twisted Cable Version by Jennifer Burt I am so ready to go back to school! Are you? This entry was posted in Inspiration and tagged back to school, coffee, coffee cozy, pin cushion, school, sewing, sewing machine on September 15, 2017 by onemilljellybeans.